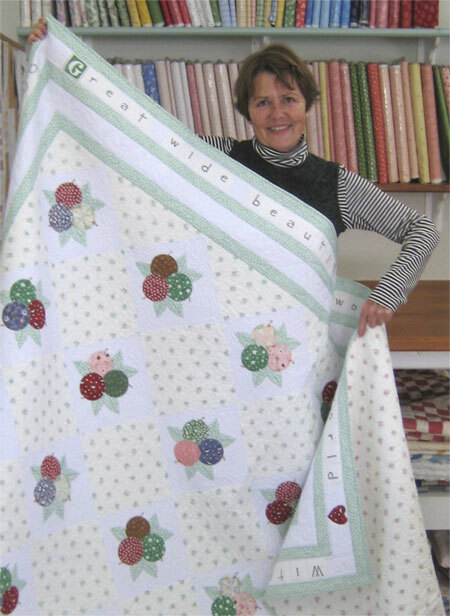 I designed this quilt using My "In Love With Nature" fabric line, inspired by one of my own antique quilts. My favorite part is the optional border using my "Letter" fabrics.Completed quilt is 88.75" x 112.5". I have also included my recipe for Gingerbread cake... yum!